Methicillin resistant Staphylococcus Aurous (MRSA) is the most common healthcare associated infection and a multi-drug resistant organism. MRSA infections can increase patient morbidity, mortality and hospital cost. It has also been recognized that community acquired MRSA has become a significant problem. In an effort to curb the continuing threat of MRSA, CMC has initiated a MRSA transmission prevention program. MRSA can be transferred from one patient to another by contact with the contaminated hands of medical or nursing staff personnel. There is also evidence that MRSA carried in the nares of medical/ nursing staff may be transmitted from this site to patients by hand contact. It is the policy of Conway Medical Center that all positive MRSA organisms, will be managed by Standard Precautions and transmission-based precautions as recommended in the CDC Guidelines for Isolation Precautions in hospitals and the CDC MDRO Guidelines. To become aware of one’s self as a minister and of the ways one’s ministry affects people. To become a competent pastor of people and groups in various life situations and crisis circumstances and to develop the maturity to provide intensive and extensive pastoral care and counseling. To utilize the clinical method of learning. To utilize the support, confrontation, and clarification of the peer group for the integration of personal attributes and pastoral functioning. To become competent in self-evaluation and in utilizing supervision and consultation to evaluate one’s pastoral practice. To develop the ability to make optimum use of one’s religious heritage, theological understanding, and knowledge of behavioral sciences in pastoral ministry to people and groups. To develop the ability to work as a pastoral member of an interdisciplinary team. To develop the capacity to utilize one’s pastoral perspective and competence in a variety of functions such as preaching, teaching and administration, as well as pastoral care and counseling. To become aware of how one’s attitudes, values and assumptions affect one’s ministry. To understand the theological issues arising from experience and to utilize theology and the behavioral sciences to understand the human condition. CMC has identified the following “high-risk” patients for MRSA. These patients will be screened on admission for MRSA colonization. This will be done by a nasal swab. Patients transferred to CMC from another healthcare facility. Patients pre-admitted for total joint replacements or spinal surgery. Positive culture identification of MRSA colonization or infection will be called to the Nursing Unit or PAT and Infection Control will be notified by Micro-lab. Colonized or infected MRSA patients will be placed in contact isolation at the time if they are inpatients. Patients who are cultured in PAT will be placed in contact isolation on admission to their inpatient room. A contact precautions sign will be posted on the patient room door. Culture proven MRSA patients will be identified by HIM and any future admissions to CMC will trigger a notification of “transmission based precautions are in effect” to the receiving nursing unit along with the admission papers. Decolonization of a MRSA patient will be left to the discretion of the attending physician.  Conway Medical Center employees are to follow standard precautions in addition to contact precautions. When transport is necessary, use appropriate barriers on the patient (e.g. mask, gown, impervious dressing). Healthcare personnel in the receiving area should be notified of the necessary precautions to prevent transmission. Cleaning and disinfecting non-critical surfaces in patient care areas are part of standard precautions. Medical equipment and instruments / devices should be cleaned and maintained according to the manufacturer’s instructions to prevent patient to patient transmission of infections agents. Non-critical medical equipment (e.g. stethoscope, B/P cuff, thermometer), should be dedicated to isolated patients. When this is not possible, this infection after use, is indicated. All linen is to be handled and disposed of according to standard precautions policy. No additional precautions are needed for non-medical solid waste. No special precautions are needed for dishware or eating utensils. All non-nursing personnel and visitors must be instructed in proper procedure before entering an isolation room.